There's no better way to express your love than with roses. Sending roses is probably the best way to catch a special someone's eye. There is no feeling more romantic than receiving a fresh bouquet of 12 red roses delivered straight to your door from your beau, even when they are in a faraway place. Roses come in all shapes, sizes, and crucially, colours, giving you a fantastic choice of darling and romantic bouquets to choose from. The rose is known internationally as the flower of love and this comes as no surprise as for centuries it has stirred the passion of many a lover and delighted recipients with its bright bursting colours, its delicate and refined shape and its lovely, distinctive scent. Sending a bouquet of stunning and colourful roses on Valentine´s Day will surprise and bring joy to your special someone, a single red rose to your new love could ignite the fire of romance within them or 12 red roses to someone on their anniversary will reaffirm your deep feelings and commitment to your relationship. Choosing the perfect number of roses always sends a unique message, ideal for whatever stage your relationship may be at. It also doesn't matter when you send a bouquet, as roses make a great gift all year round. We have a wide range of add-ons to customise your order with. Choose from a selection of classic and modern greetings cards to send an extra message of affection to your love, or choose from our collection of elegant vases to help your flowers take pride of place in their home. With other little extras like chocolates, soft toys and sparkling wine to enhance your bouquet further you can be sure that your loved one's heart will be set aflutter when their delivery arrives. When you want to show that special someone just how special they are we have all the tools you need to make your gift stand out. 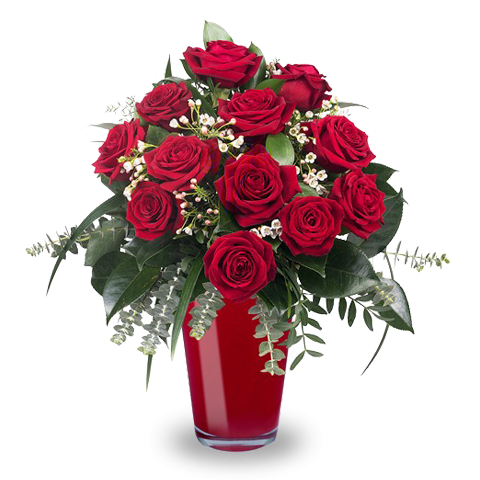 You can send your roses to over 100 countries with FloraQueen’s international delivery service facilitated by our network of expert florists. They work hard to ensure that your delivery arrives in the best condition possible wherever you are in the world, with seven days of freshness guaranteed for your bouquet. 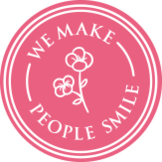 We also offer same-day delivery for those last minute rose deliveries, so they can arrive just in time for special occasions. 3 roses - "I love you"
6 roses - "I want to be yours"
If you want to know more about the meaning of the number of roses in your bouquet be sure to check out our guides for the meaning of 1-20 roses and 25-1001 rose arrangements.